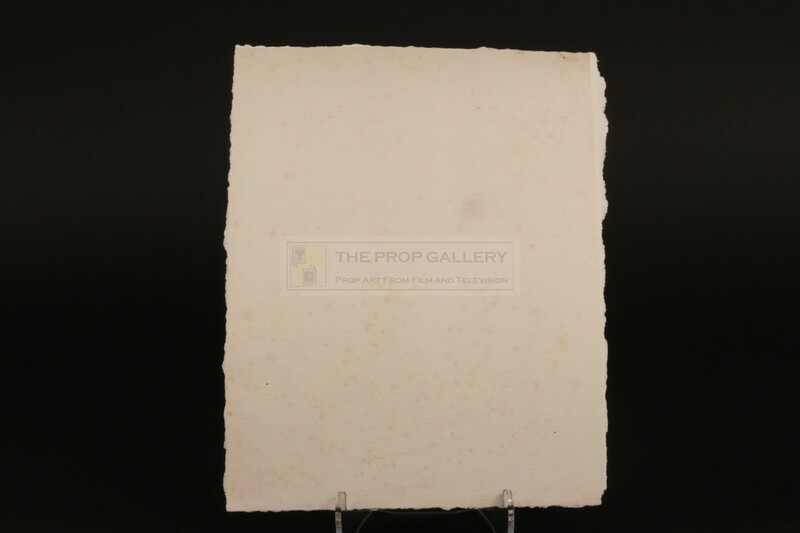 From the 2005 episode Rose starring Christopher Eccleston as The Doctor this prop can be seen used in the meeting between Rose Tyler (Billie Piper) and Clive Finch (Mark Benton) as they discuss the origins of The Doctor (Christopher Eccleston). 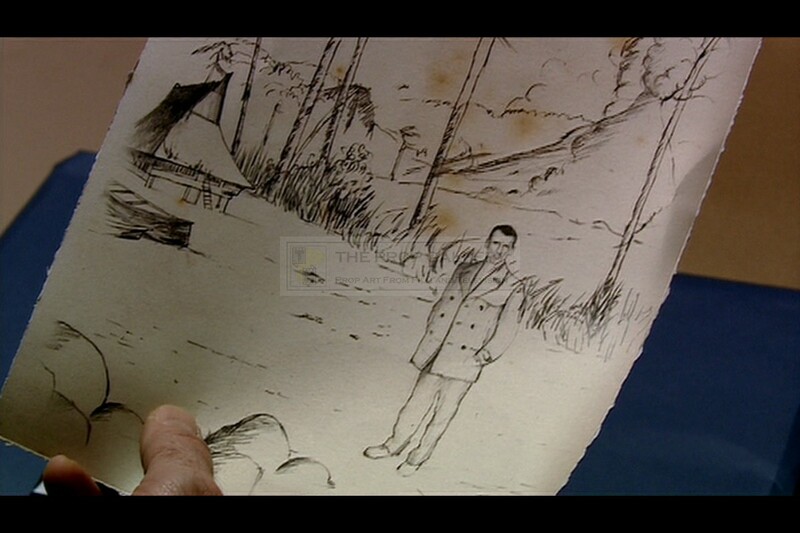 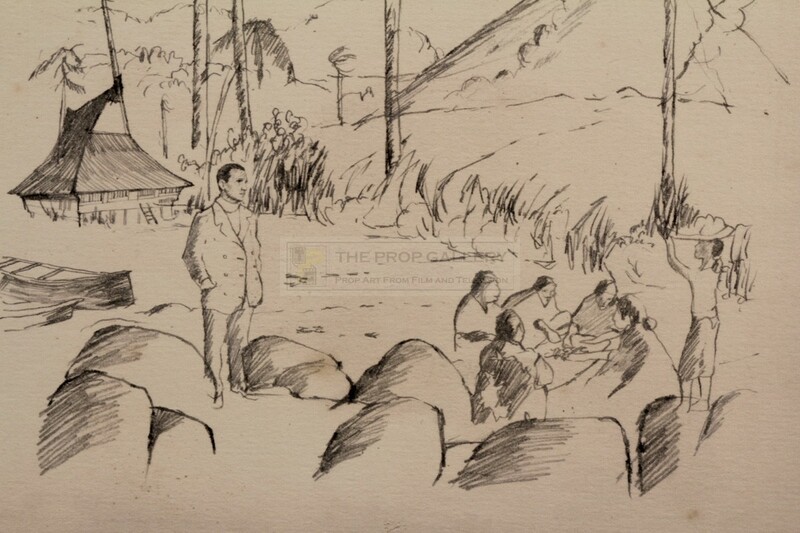 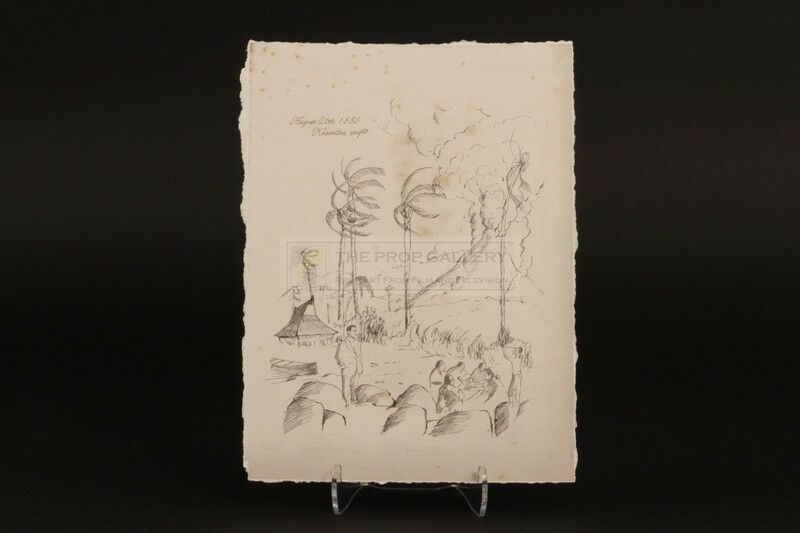 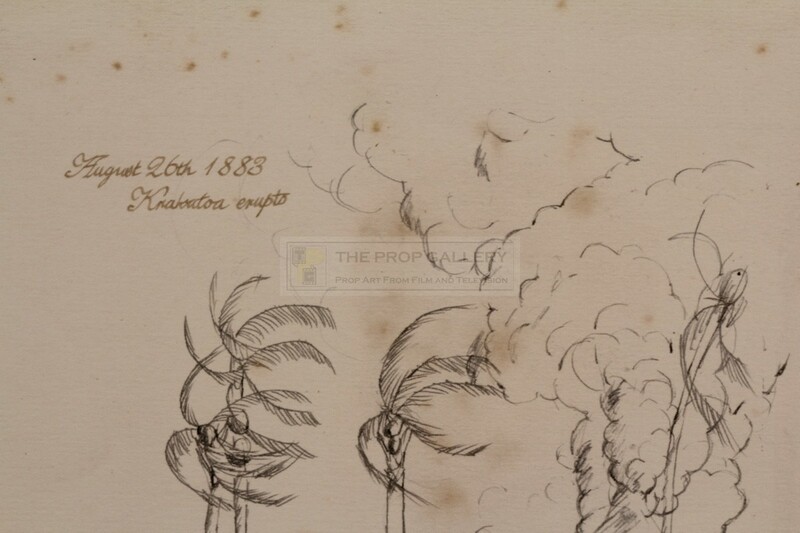 Clive can clearly be seen taking this exact style of sketch off the wall to show Rose however when it appears in close up it is actually a different example, the sketch is printed on thick paper stock which appears intentionally aged and features an image of The Doctor on the island on August 26th 1883, the day of the Krakatoa eruption. 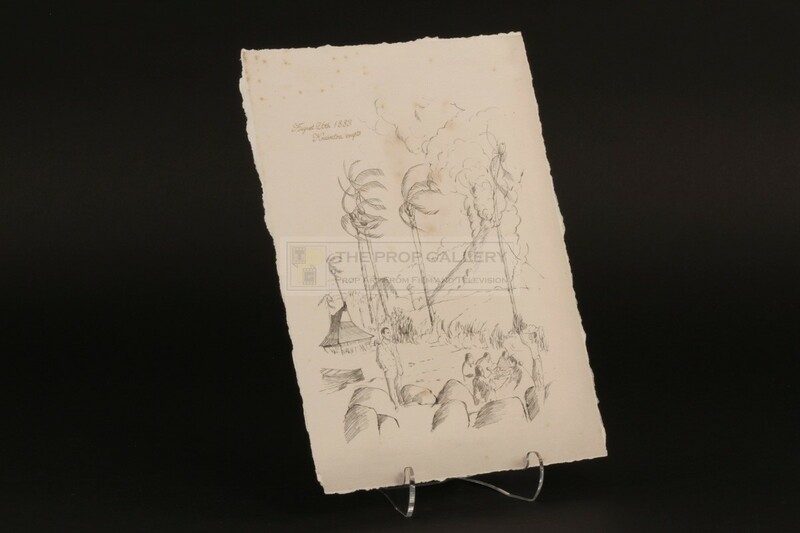 The sketch measures approximately 10" x 7.5" and remains in excellent production used condition, very fine. 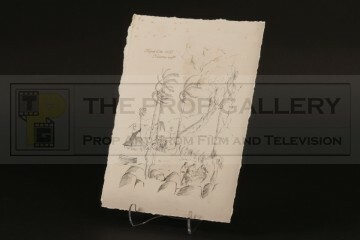 A highly displayable artefact referencing The Doctor from this classic science fiction series.